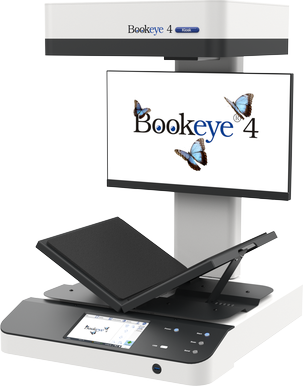 The unique book cradle solution allows users to digitize bound documents at a resolution of 400 dpi and A3+ in size, by either lying them flat on the scanning bed or in the V-cradle, at an angle of 120 degrees. An integrated 22" Touchscreen allows the operator to control image quality and make some modifications on the fly. 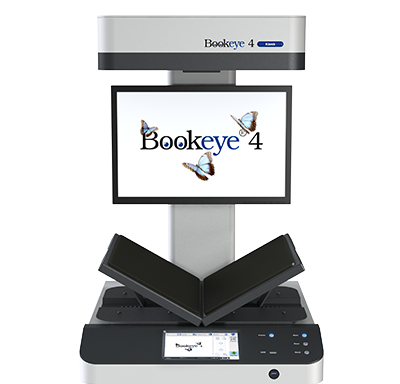 Scanned images can be output to USB, eMail, network, printer or on a mobile device like an iPad or Anrdoid tablet.